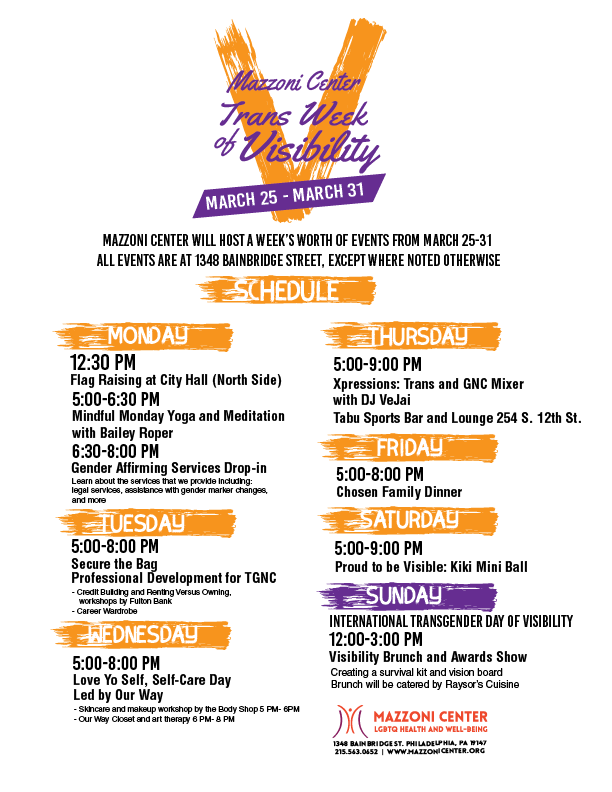 Mazzoni Center’s Trans Week of Visibility will kick off Monday, March 25 at the Trans Flag Raising at City Hall (North Side). 1348 Bainbridge Street in Center City Philadelphia and will conclude with the Visibility Brunch and Awards Show on Sunday, March 31. What is Trans Week of Visibility? A week of special events celebrating trans identity planned and hosted by trans and non-binary Mazzoni Center staff members.